Have you been caught drink driving? Drink Driving Solicitors ready to help you. What are the likely drink driving penalties? The court will be referred to the Magistrates Courts Sentencing Guidelines and if the court departed from the Guidelines they would need to give reasons in court. What are the Drink Driving Penalties? If you are charged with drink driving and plead guilty or are found guilty after a trial, you could face a fine, community order or prison sentence, and you will be banned from driving unless there are special reasons not to disqualify you..
Moore Motoring Law may be able to help reduce your driving ban by seeking a drink-drive rehabilitation scheme (DDRS) course which can reduce the length of your ban by 25%. 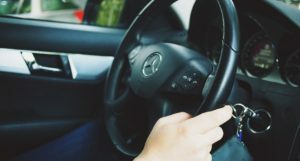 Our motoring law solicitors can help advise you to see if there is a defence to the charge or any special reasons not to disqualify you from driving.